With the introduction of Graph Search, Facebook has revolutionized the search feature of the mammoth social networking site. Facebook Graph Search allows users to streamline and fine-tune their searches whether they’re looking for people, photos, events, interests, personal information, or basic fusions of these. If you’re wondering on how this differs from Facebook’s existing search feature, the all new Facebook Graph Search function uses algorithms and mechanisms that can interpret natural language. 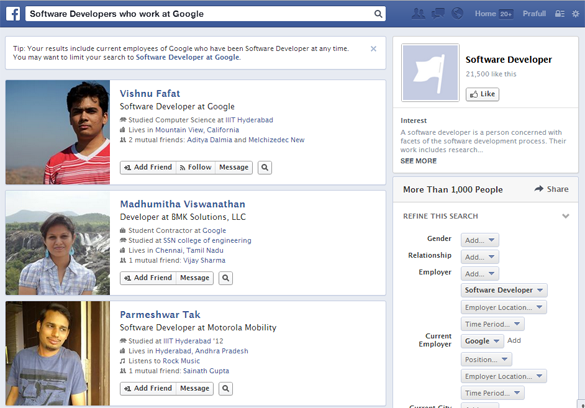 This makes the search function much more intuitive and precise for Facebook’s users. 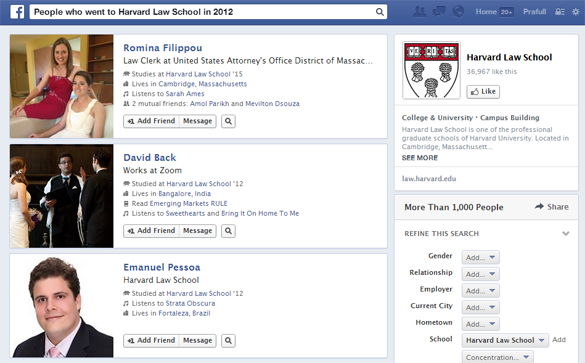 Searching for “friends who are interested in Running”, “music that my friends are interested in”, or “People who graduated from Harvard” are now made simpler, faster, and easier with the Facebook Graph Search. To start with, you can search for specific Job Titles (i.e. Systems Analysts, Marketing Managers, etc.). You can choose to refine your searches as well by adding location in the search query. For example, you could choose to search for or “Network Engineers who live in San Francisco”. Next, you can also choose to search for possible recruits by typing in Employer’s Names. If you’re looking to recruit from rival companies or gather talent from other organizations, it’s as easy as inputting the company’s name into the Facebook Graph Search Bar. You could try searching for “Software Developers who work at Google” for instance, and Facebook would provide you with that particular list of people. Another search tip that you could use is to search by Education. Let’s say you’re a law firm and you only want to hire the best and the brightest graduates of Harvard Law School. Searching for these graduates on Facebook will not be a problem. Slight configurations to the search queries like “People who went to Harvard Law School in 2012” will churn up a list of Harvard Law School graduates ready for you to create a hit list and contact further to evaluate interest. How Does It Help Target Your Recruits? 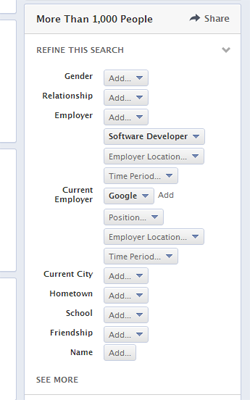 When searching for potential candidates for employment, Facebook Graph Search provides you the option to ultimately refine your search by allowing you to target in on specific details that filter your search results. For instance, you may choose to be hiring only male candidates for a certain position, or you choose to hire candidates who live near the office, or candidates who graduated from a certain school, or whatnot. 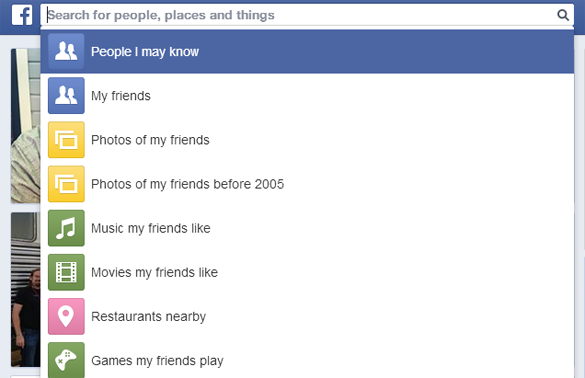 Facebook Graph Search is all about customizability and catering for its users specific search needs. 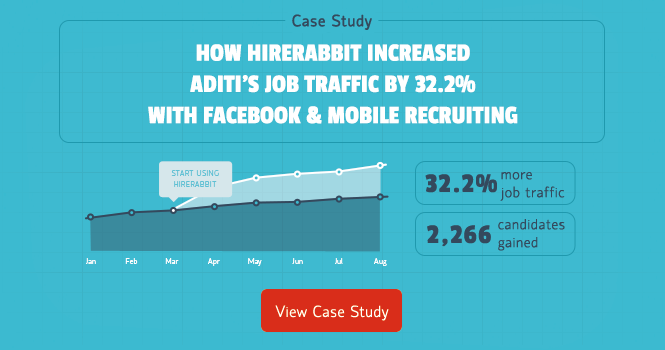 Recruitment through Facebook Graph search also gives your company the opportunity to personally reach out and contact prospective employees via their profiles. 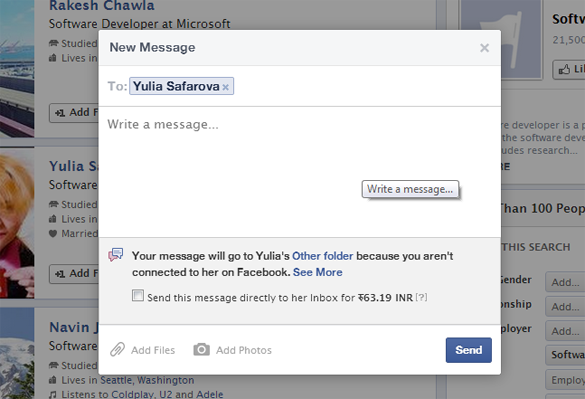 Traditionally, unsolicited messages are diverted into a user’s “Others” folder, but for the affordable price of only $1, you can have your message instantly sent into the user’s inbox. This is a perfect way of letting the candidates know that you value their talent enough to engage with them on a personal level. (Job Title) who live in (location of hiring office). Granted that this revolutionary search function allows you to have a much for precise, streamlined and targeted search, its results may have limitations. Your search results depend on the amount of information an individual has disclosed on his public profile. This means that the Facebook user who has not publicly listed his employment status, employer name, educational attainment, and other details will not show up in the results for those search terms. 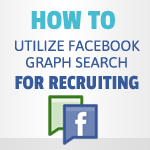 This is one limitation to your recruitment ventures via Facebook Graph Search. Despite this limitation however, Facebook can give you access to more data like addresses, hometown, languages spoken, gender, religion, interests, activities, and the like. What you choose to do with this information is up to your skills as a recruiter. The best thing about Facebook Graph Search is how it provides its users with the ultimate freedom to customize and refine their searches. It transforms recruitment by providing you the opportunity to connect with top passive candidates on their favorite social network. Companies who are looking to maintain a competitive edge in recruitment and talent acquisition must see the value of Facebook Graph Search and not let this opportunity be a wasted one. The mechanisms are all set for prospective recruiters to do their magic, all it needs to be effective is a little creativity and precision in its approach. 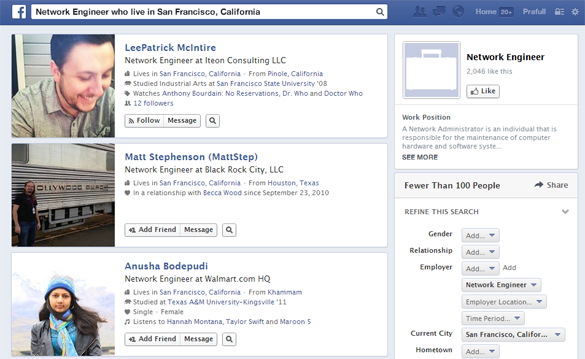 Are you utilizing facebook graph search for recruiting at your company? Let us know in the comments below.